Joël Robuchon, an endlessly inventive French chef who earned a record number of Michelin stars by recasting French haute cuisine in a personal style that emphasized intense flavors and precise technique, died on Monday in Geneva. He was 73. The French government announced his death. A friend, David Khayat, who said he was with Mr. Robuchon when he died, told the French newspaper Le Figaro that the cause was complications of pancreatic cancer. 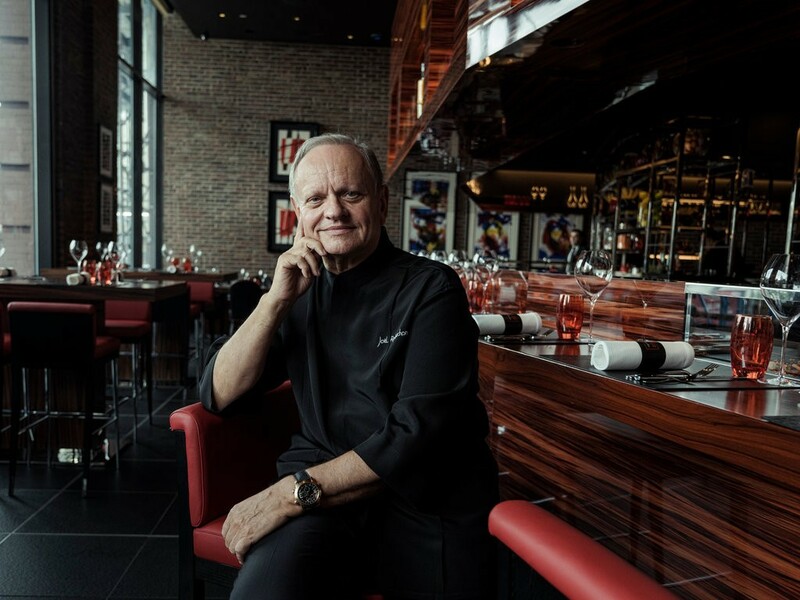 Mr. Robuchon, best known in recent years for the chain of small restaurants he called ateliers, dazzled the French culinary world with his first Paris restaurant, Jamin, which earned three Michelin stars in record speed, a mere three years after opening in 1981. Classically trained and deeply influenced by nouvelle cuisine, he played with the language of classic French cooking, turning out a series of dishes remarkable for their intoxicating flavors and their beauty on the plate. They could be disarmingly simple. His butter-laden potato purée, one of many instant classics, consisted of four ingredients —potatoes, butter, milk and salt — but his labor-intensive technique of drying the potatoes and gradually introducing chilled butter and boiling milk elevated the dish far beyond its station. More complex productions included caviar in a soft aspic with cauliflower cream, truffle tart and ravioli filled with langoustine in a vegetable and foie-gras broth. “Robuchon molds, melds, seasons, extracts the greatness out of everything from cauliflower to razor clams, foie gras to caviar,” Patricia Wells wrote in The International Herald Tribune in 1994, naming his new Restaurant Joël Robuchon in Paris one of the world’s 10 best restaurants. “Robuchon brings the palate to heights it never dreamed of,” she added. At one time, Mr. Robuchon’s many restaurants had accumulated more than 30 Michelin stars, a tally unequalled by any other chef. In 1990, the Gault-Millau guide named him one of its “chefs of the century,” putting him in the company of Paul Bocuse, Frédy Girardet and Eckart Witzigmann. “He personified perfection for a generation of chefs,” the three-star chef Pierre Gagnaire told The New York Times in 2002, shortly before Mr. Robuchon came out of retirement to start a new chapter with his casual atelier restaurants, which extended his reach to cities around the world, from New York to Shanghai. Joël Robuchon was born on April 7, 1945, in Poitiers, in western France. His father, Henri, was a mason, and his mother, Julienne (Douteau) Robuchon, was a housemaid. At 12 he entered the junior seminary in Mauléon-sur-Sèvre, northwest of Poitiers, with the intention of becoming a priest. But he found a new vocation while helping the nuns prepare meals. At 15 he began an apprenticeship at the Relais de Poitiers, a hotel and restaurant in Chasseneuil-du-Poitou. As part of a program called the Compagnons du Devoir, he traveled throughout France in his early 20s studying regional cuisines and mastering traditional techniques. 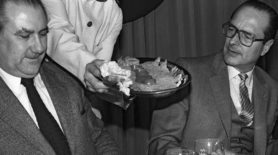 At the same time, the new thinking about French cuisine that would evolve into nouvelle cuisine made a deep impression on him, especially the emphasis on freshness and integrity of raw materials. “One of his favorite lines was, ‘Our job is not to make a mushroom taste like a carrot but to make a mushroom taste as much like a mushroom as it can,’ ” Ms. Wells, the co-author of Mr. Robuchon’s cookbook “Simply French” (1991), said by telephone.